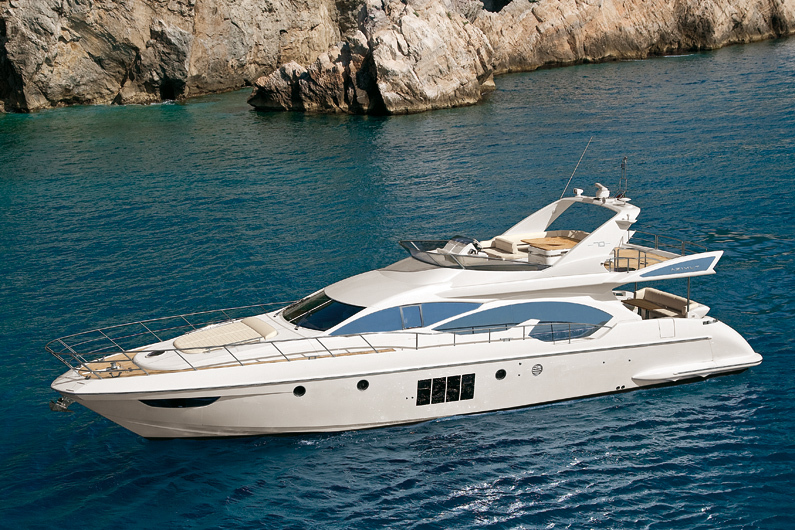 Motor yacht MARSHMELLOWS was designed by Stefano Righini and built by Azimut Yachts in 2009. 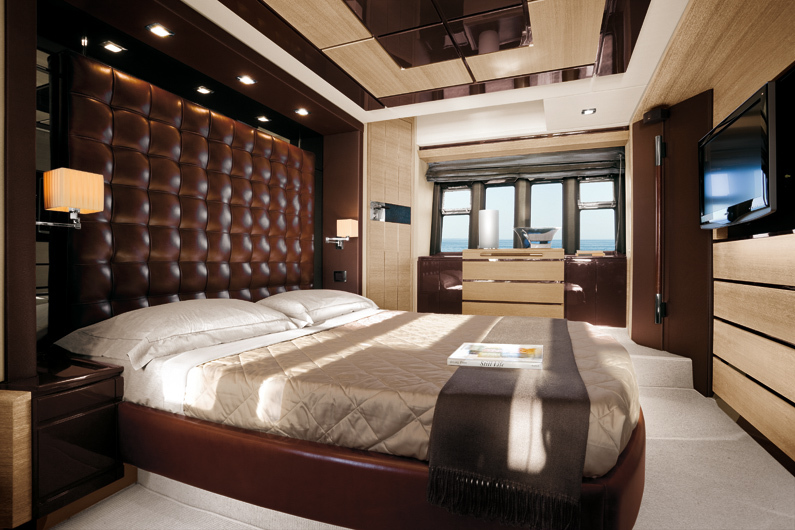 M/Y MARSHMELLOWS measures 21.6m (70.9ft) and offers stylish accommodation for up to 8 guests in 4 generous cabins. 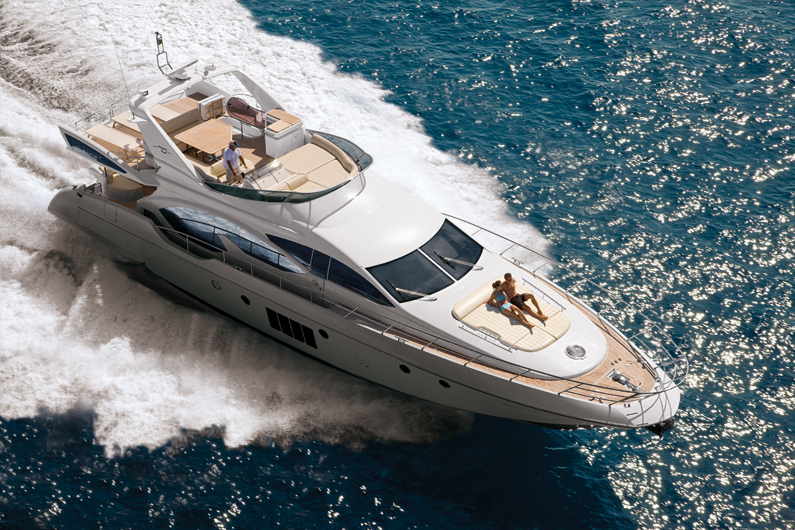 The Azimut 70 motor yacht MARSHMELLOWS is a modern and stylish charter yacht based in Menton, French Riviera and is available for charter in the idyllic Western Mediterranean. 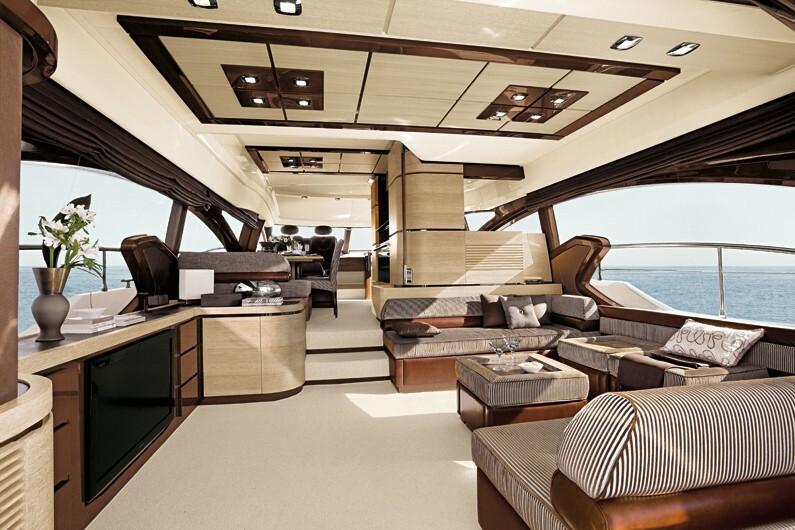 Charter Yacht MARSHMELLOWS has a classy stream lined interior featuring light oak panels, quality leather furnishings throughout and ample natural light. 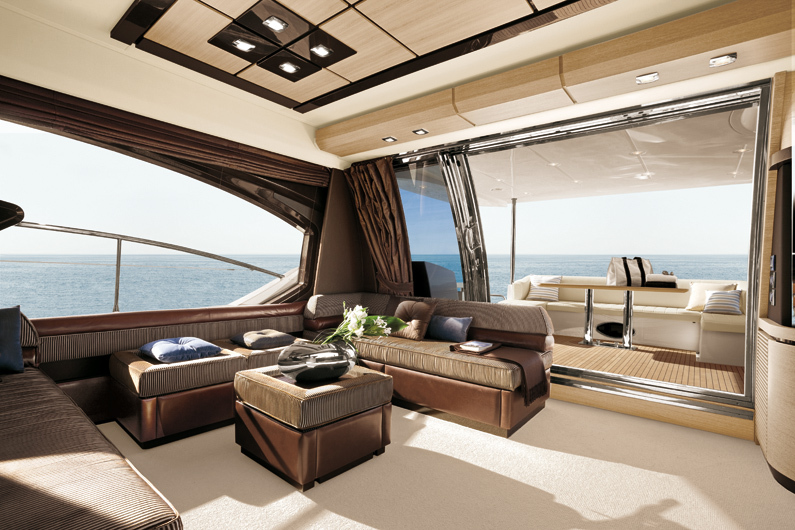 The salon is open and airy, full length windows that create the feel of additional space. 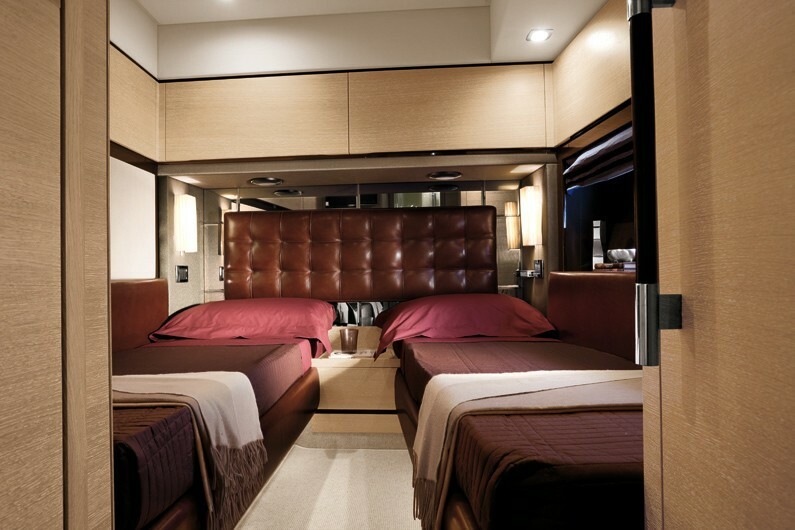 Soft tones of subtle cream blend with fine regal browns give a refined atmosphere of ultimate comfort. 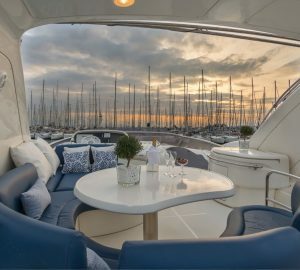 On the starboard side 2 plush sofas invite relaxation, on the port side a large flat screen TV ensures great entertainment. 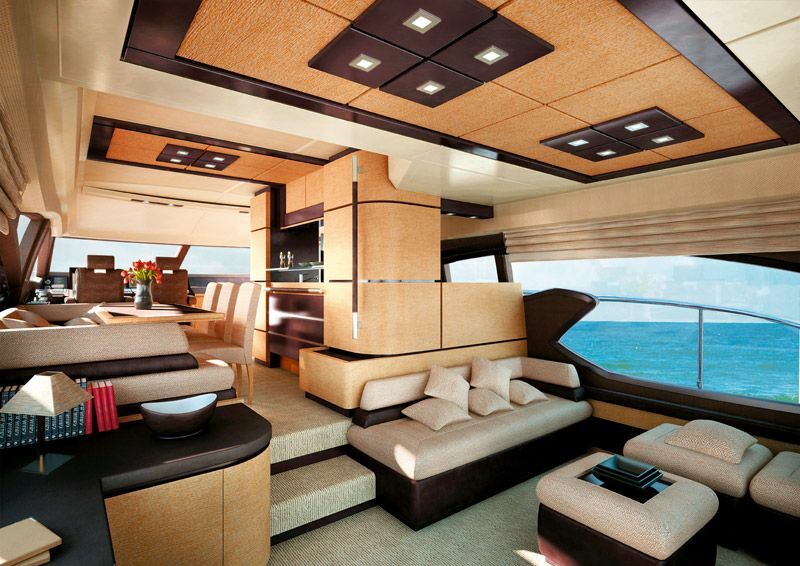 The MARSHMELLOWS motor yacht offers guests plenty of exterior deck space. 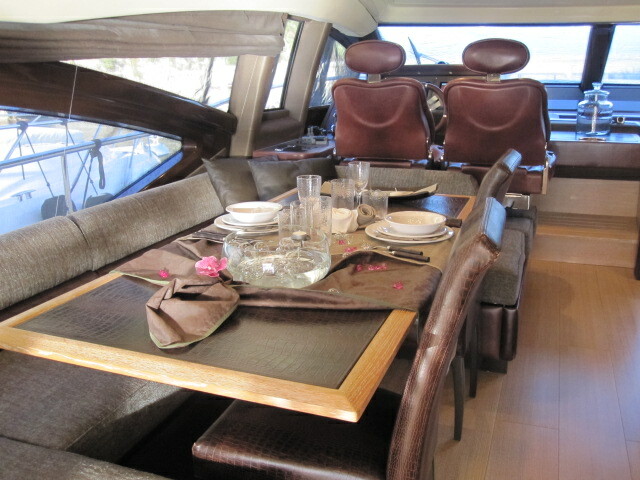 The aft deck is shaded with an alfresco dining option that comfortably seats 8. 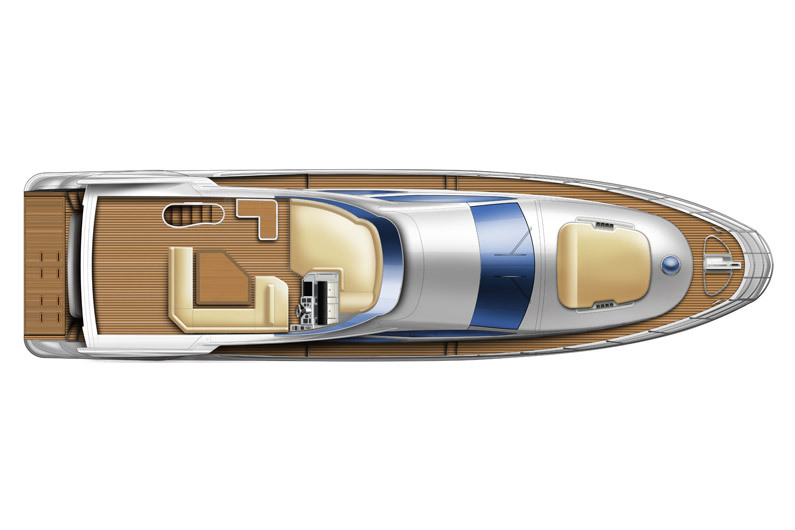 An extended swim platform on the transom makes water access easy for all to enjoy. Forward a double sunpad will entice the sun lovers. 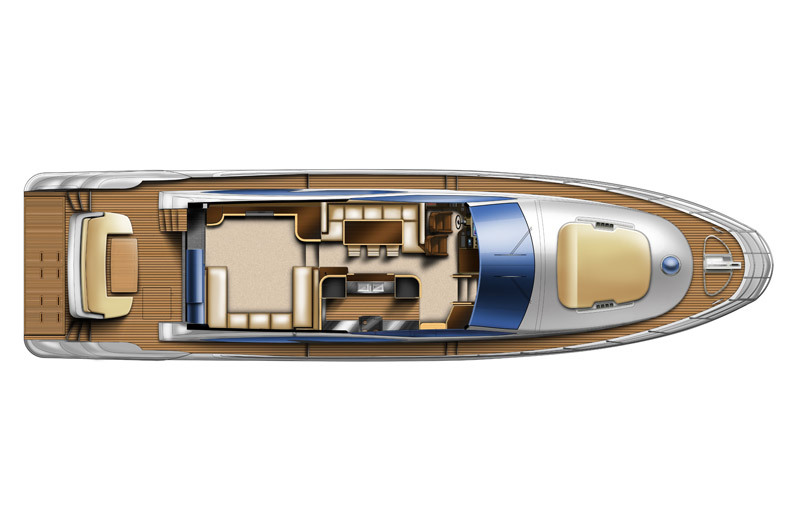 Above the main deck, the flybridge is massive with 11 square meters of space offering sunpads, an alfresco dining table and further extending deck space, perfect for entertaining. 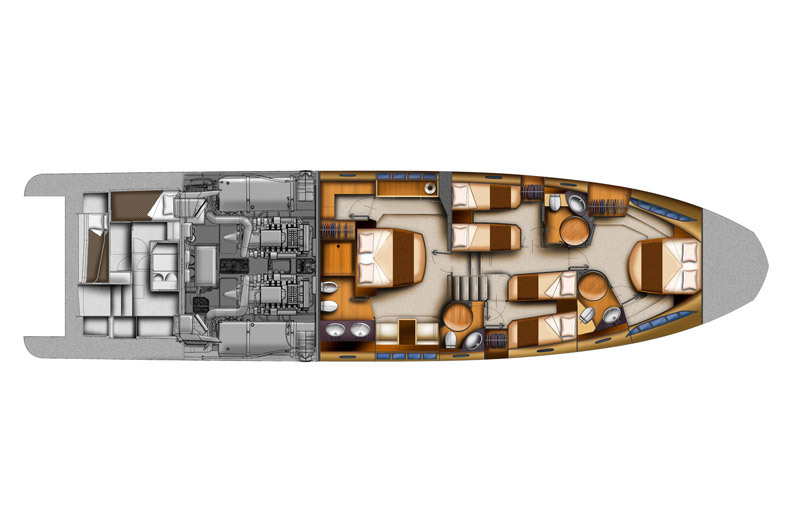 M/Y MARSHMELLOWS has a beam of 5.6m (18.2ft) and a draft of 1.6m (5.3ft), with a planing hull design and 2 x MAN 1360HP engines the yacht is capable of impressive cruising speeds of 27 knots. 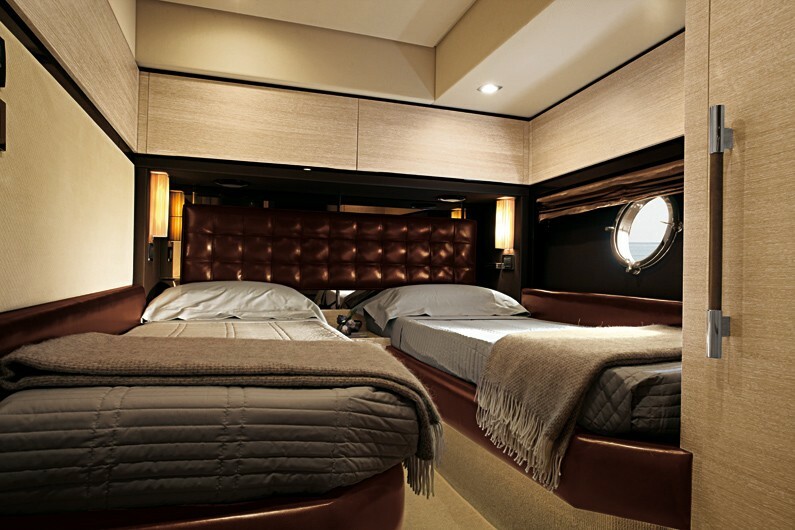 Charter yacht MARSHMELLOWS accommodates 8 charter guests in 2 double and 2 twin cabins. The master suite is amidships with a center lined queen size bed, lounge area with table, vanity, walk in wardrobe, large panoramic windows and en-suite facilities with his and hers sinks. 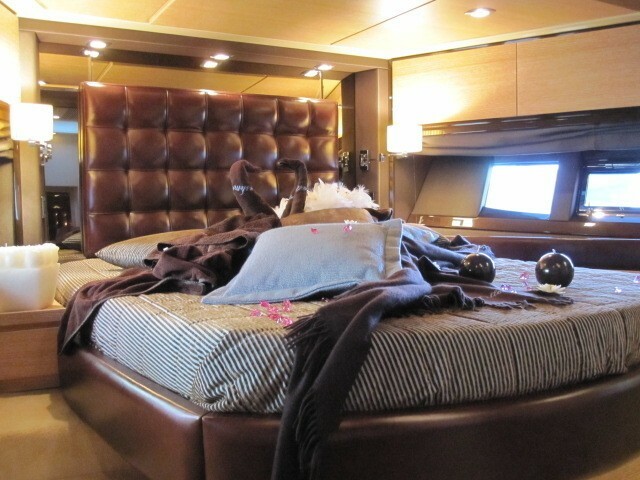 The VIP suite is forward with a queen size bed and en-suite facilities. 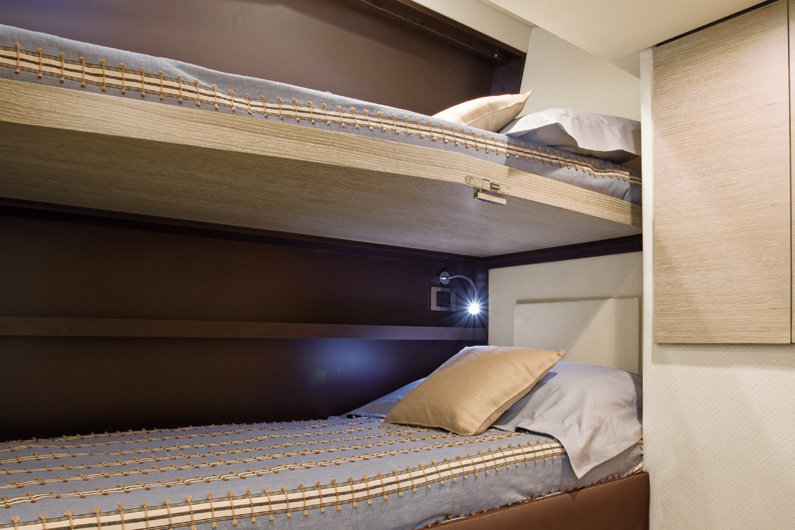 A further 2 twin cabins are between the Master and VIP with side by side single beds and en-suite facilities. 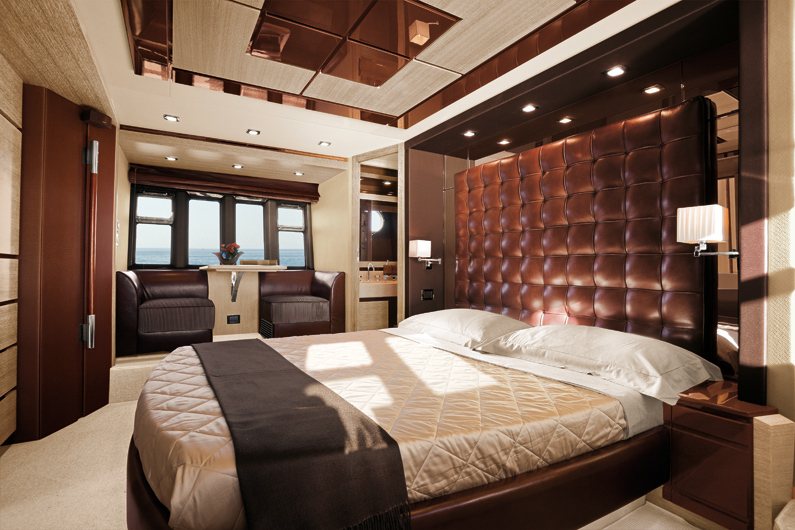 All four cabins have their own ensuites ad are lavishly adorned in fine leather furnishings boasting sophistication and style. 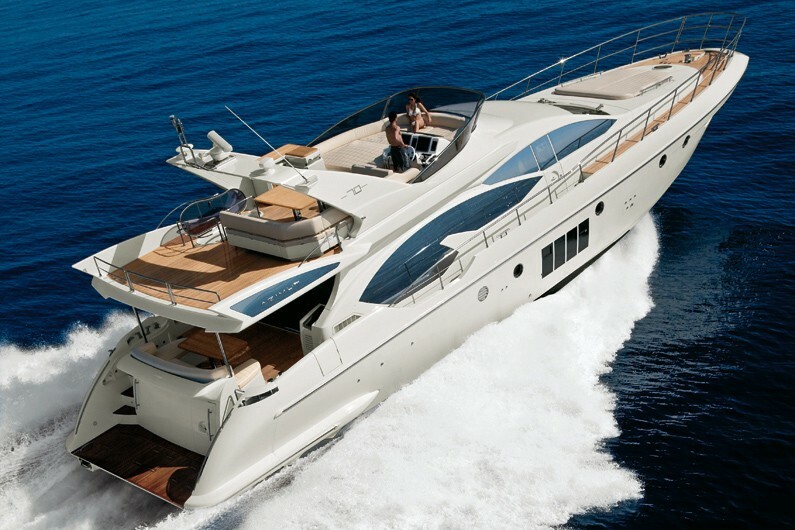 The Azimut 70 charter yacht MarshMellows offers guests the following yacht charter extras and amenities: Tenders + toys: Tender 3 mt. 15 hp. Electrical entertainment includes LCD Sharp tender & DVD, A Home Theater Music Sound System, a TV & LCD & DVD in the master cabin as well as a Sharp TV & LCD Radio & Cd Music in all of the guest’s cabins. 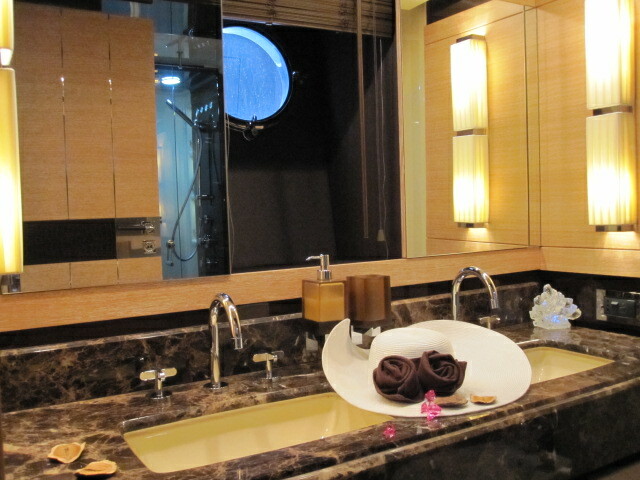 Scuba Dive by organised rendezvous. 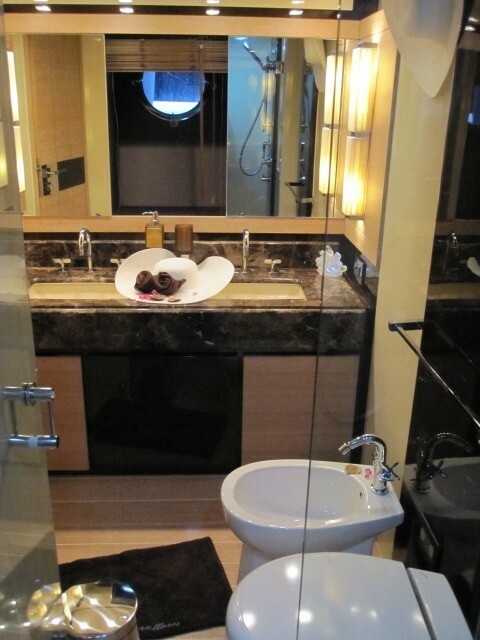 The yacht has air conditioning throughout.